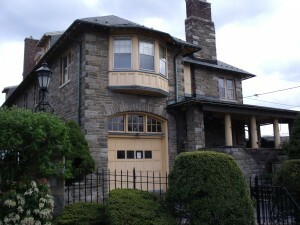 We have five rooms available at the Stone House Bed and Breakfast. 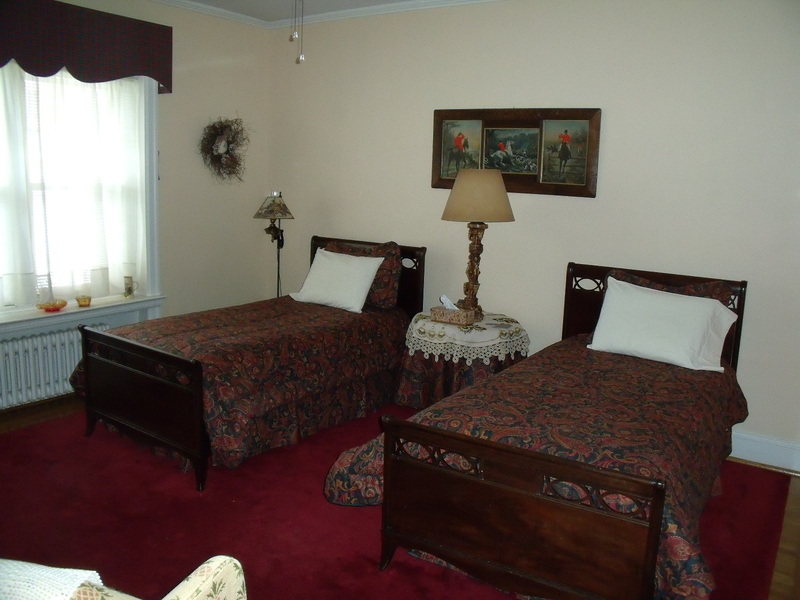 All rooms include air conditioning, an alarm clock, and free wireless internet (WiFi). Call (570) 385-2115 for more information. Master bedroom overlooking a formal garden with a queen-size bed. All rooms are air-conditioned and have free wireless Internet access. Room accommodates 1 or 2 people. Call for rates and reservations. Appointed with an antique cottage set and a full-size bed in a nautical theme. All rooms are air-conditioned and have free wireless Internet access. Room accommodates 1 or 2 people. Call for rates and reservations. 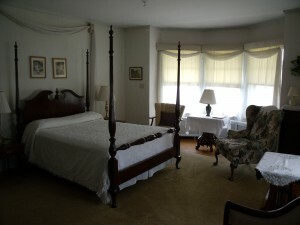 This room is handsomely furnished in the fashion of an English country manor with two single beds. 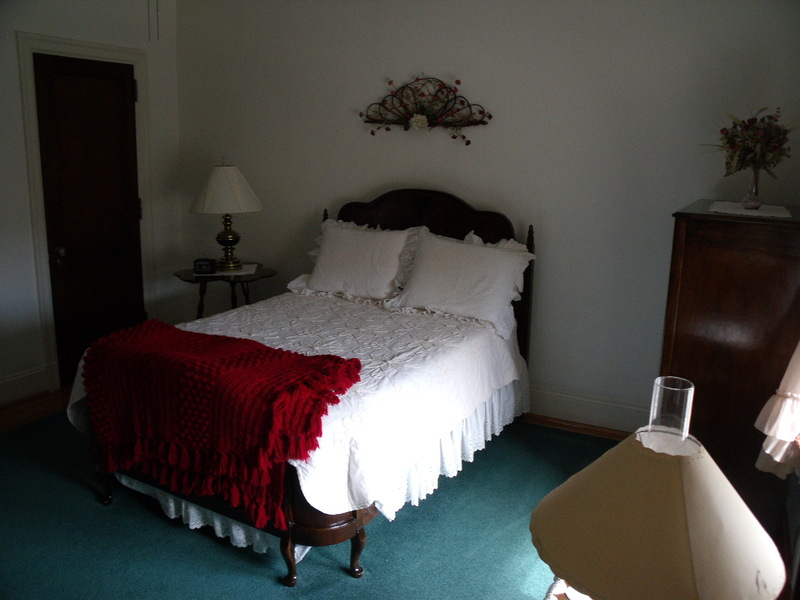 All rooms are air-conditioned and have free wireless Internet access. Room accommodates 1 or 2 people. Call for rates and reservations. 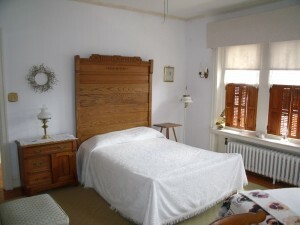 Gracefully decorated in a style reminiscent of nineteenth century living with a king-size bed. All rooms are air-conditioned and have free wireless Internet access. Room accommodates 1 or 2 people. Call for rates and reservations. Third floor view of Haven. The room has a king-size bed, a claw-foot tub and shower. All rooms are air-conditioned and have free wireless Internet access. Room accommodates 1 or 2 people. Call for rates and reservations. Please note there is a six-percent (6%) Pennsylvania sales tax and a three-percent (3%) county hotel tax per room. Cancellation of a reservation must be made within twenty-four (24) hours of the scheduled arrival or a full room charge will be applied to your credit card.